Google has been emphasizing the importance of mobile design and usability over the past year and now the search giant has added mobile usability reports to Webmaster Tools. 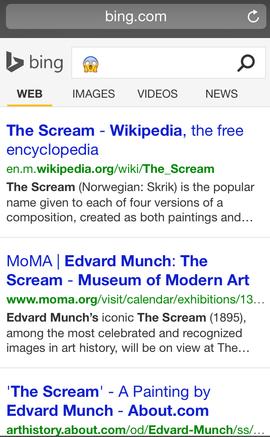 Many believe this could be a sign that Google may be making mobile usability a ranking factor sooner rather than later. The tool is intended to show whether your mobile site has any of the common usability issues that degrade a user’s mobile browsing experience. Currently, the tool included specific errors for showing flash content on mobile (which can also result in a warning on mobile search results for your site), missing viewport meta-tag for mobile pages, improperly small fonts which are hard to read on mobile, fixed-width viewports, content not sized to viewport, and clickable links and buttons spaced too closely together. Of course, Mueller could simply be encouraging this because it improves user experience, but there is strong evidence to suggest Google will eventually make mobile user experience a ranking signal within search engine algorithms. Emoji’s have become an essential part of every day communication for many smartphone owners, and now they appear to be making their way to search engines. 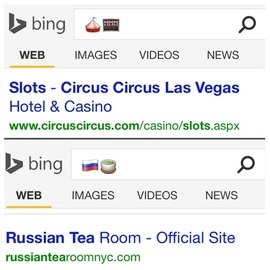 On Monday, Bing announced their search engine would now be capable of recognizing emojis and using them as a search term. Users can search for single emojis, or you can combine them in a mix of text and emoji as they are typically used in text messaging. 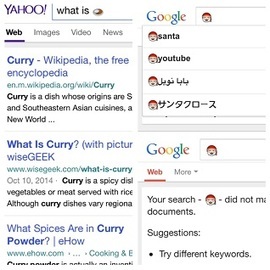 Notably, Yahoo and Duck Duck Go are also capable of recognizing emojis, but Google is not. Facebook has long been the favorite social media platform for sharing content, but if a report from the New York Times is any indication content creators may soon be looking for a new platform to share their content while still attracting users to their own websites. According to the report, Facebook may be considering hosting linked content directly on its own site, and serving ads on that content, rather than linking directly to content creators’ sites. Not only does this mean a drop in traffic from Facebook users, the change could outright cause the site owners to lose revenue from declining traffic and ads on their own site. The change is supposedly going to be limited to mobile devices, but it has already stirred up quite a controversy with content creators and marketers. Facebook seems to believe the change could be more convenient to users, but those who create content see it more closely in line with content syndication or even content theft. No matter the convenience to users, many content creators depend on revenue from page views and ads which would be significantly impacted if Facebook does end up hosting content. The real question appears to be if there will be an opt-out option available. There has been no mention of an opt-out or the potential for the hosting of content to be optional. Even if it is up to the publisher, the change could still negatively impact content creators who choose to host their own content on their page, as content which is hosted on the social platform is likely to look more attractive and convenient. Man people across the country are scrambling to get a last minute Halloween costumes as the holiday grows closer, and that means marketers are making their final Halloween ad push. This is especially true for e-commerce sites who make up are hoping to get their own chunk of the nearly $7 billion spent annually on Halloween costumes. Thankfully, your e-commerce site can still reap its own piece of the pie, so long as you move fast and know what customers are looking for in the final days before ghosts and vampires wander the street for a night. Nextopia investigated online Halloween purchasing behavior and shared their findings in a convenient, easy to understand infographic (seen below). So long as you know when and where people are spending the money, e-commerce can be a hugely successful market this time of year. Those who have been following search trends in the past couple years have likely heard that being the first result on the search engine results pages (SERPs) is not nearly as important these days, mostly because the results we see are now customized based on location and user habits. 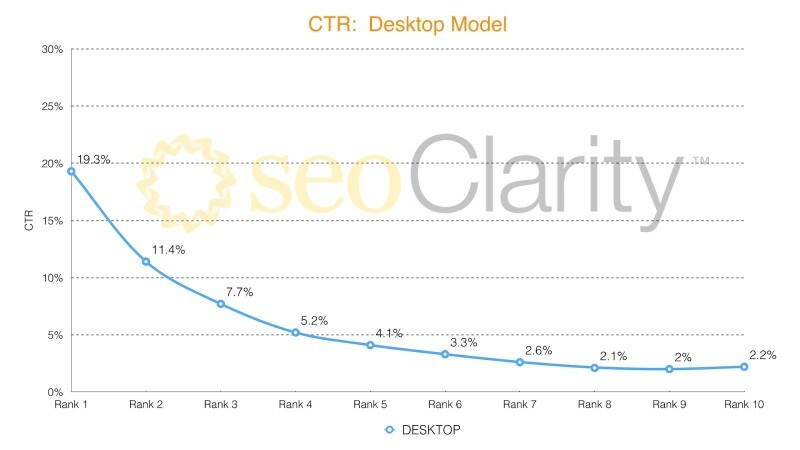 This is absolutely still the case for desktop searching, but a new click-through ranking study conducted by seoClarity suggests the difference between first and second in mobile search results may be the difference between success and failure. Their findings show such a large drop-off between the first and second rankings that there was no notable difference between the second listing and those that followed. 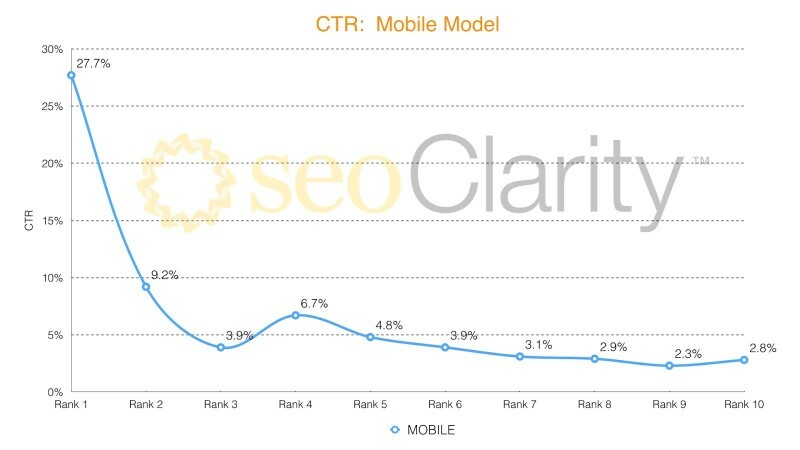 In the graph of mobile click through rates, you can see the first result receives nearly three times the number of clicks compared to the second ranking, while desktop rankings continue to show a more gradual slope following the first result. To conduct the study, seoClarity examined over 2 billion impressions from Google Webmaster Tools data over a 90 day period between June and August. You can download and view the full report here. Snapchat, the popular social image sharing app, recently ran the first ad on their platform since its inception. If Universal Pictures, the movie studio who bought the ad, is to be believed, the results are already showing the advertising exercise was a great success. It is hard to tell how the format will work for smaller brands, but Universal vice president of digital marketing Doug Neil said “millions” of viewers have seen the 20-second trailer for the horror movie “Ouija”. However there has been some fallout from the ad tests, especially on Twitter. Some users were surprised by the ads or confused by their disappearance after playing. For big marketing ventures like “Ouija” this isn’t much of a problem, especially as the platform perfectly attracts their demographic, but it could be an issue with more niche or localized brands if Snapchat ever expands the ad platform. Snapchat’s ad medium does offer one unique benefit from the plethora of other monetizing social media platforms. While Facebook’s videos autoplay for anyone who happens to scroll by, Snapchat’s ads have an incredibly wide reach while only playing for those who actively engage the ads. While a huge range of people were shown the ad’s presence, only those who wanted to view it actually watched. If you thought Google might be slowing down on updating their most well-known search algorithms, the past month may have been a bit of a shocker for you. First, Google rolled out the latest update to their Panda algorithm in late September, and less than a month later they have released the first update to their Penguin algorithm in over a year. 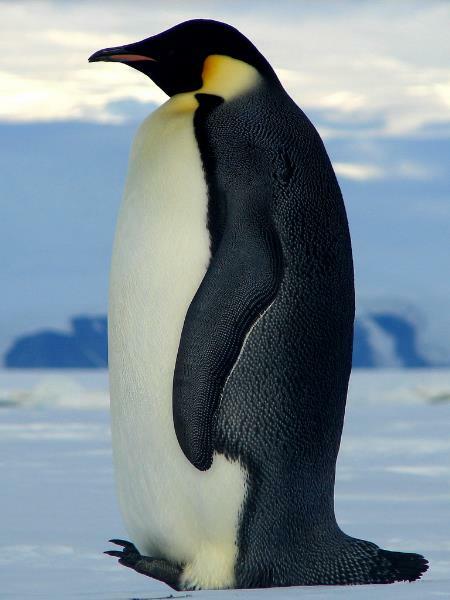 If Penguin and Panda aren’t familiar terms to you, they are the names of two major algorithms which determine what Google’s search results will look like for a given search. They help evaluate websites and reward those who are following guidelines while punishing those who bend or break the rules. While the Panda algorithm mostly relates to the content directly on webpages, Penguin aims to take down those who try to cheat Google by creating unnatural backlinks to try to gain higher rankings. Both often these algorithms penalize webmasters and the businesses who run these pages when there was no malicious intent. Unfortunately, with the complex system that makes up Google’s search algorithms and their ever-changing guidelines and many business owners have been shocked to discover their site is no longer appearing in the search results after an algorithm update. While site owners can frequently bounce back after these penalties, they can also destroy any momentum you had and lose you potential customers. That’s why it is always important to have someone who is consistently up-to-date on all of Google’s latest policy changes to make sure your site is staying within the rules. As Google rolls out more mobile ad formats and targeting measures for marketers, the customers seeing the ads appear to be more readily engaging advertisements from their smartphones and tablets. Mobile devices comprised 31% of paid search impressions and 38% of search ad clicks on Google. 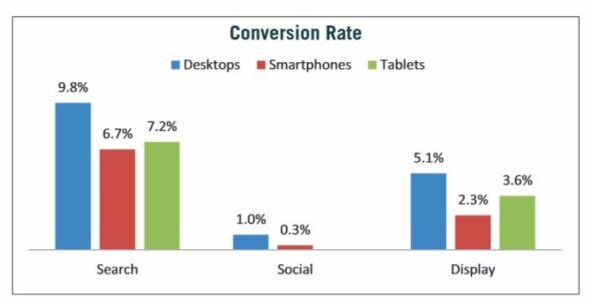 Mobile accounted for 30% of ad conversions with mobile conversions increasing 2.4% quarter-over-quarter and nearly 11% year-over-year. 1 out of every 3 ad conversions on Facebook took place on a mobile device with mobile ad conversions increasing 16% quarter-over-quarter. Mobile ads on Facebook accounted for 52% of ad impressions and 63% of clicks. 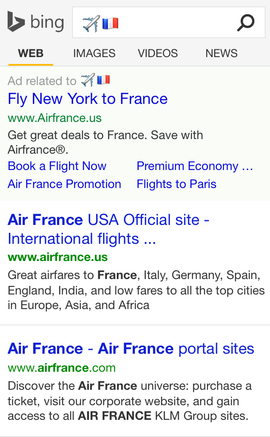 The findings also make it clear that Search ads are performing miles better than Display or Social ads. 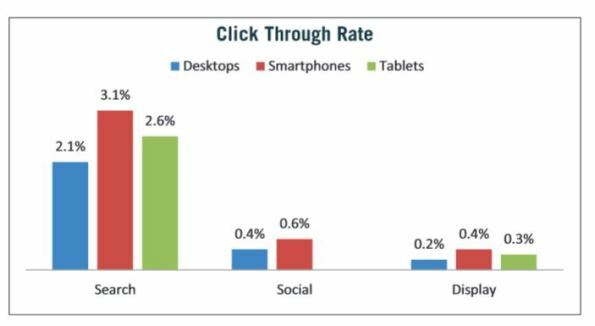 More-so, while smartphones may not be the most prominent medium for conversions, they consistently gain the highest rate of clicks. Marin says the large difference between Search CTE and Social or Display CTR can be attributed to intent. Searchers tend to be actively looking for something, meaning ads will be more tightly focused. On the other hand, those on social sites or Display ads which appear while users are already engaged with something else are less attention getting. 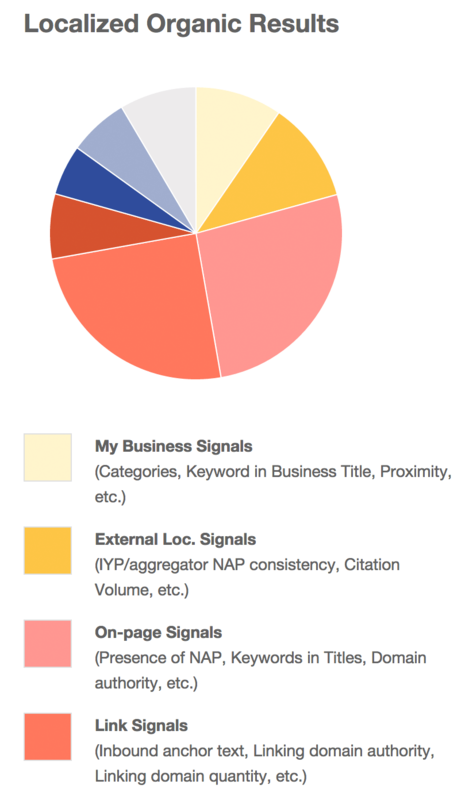 Every year, Moz details the local ranking factors they can identify in Google’s algorithm to help small businesses get a foot up in the listings. Earlier this week they announced the release of this year’s findings and everything seems… surprisingly the same. 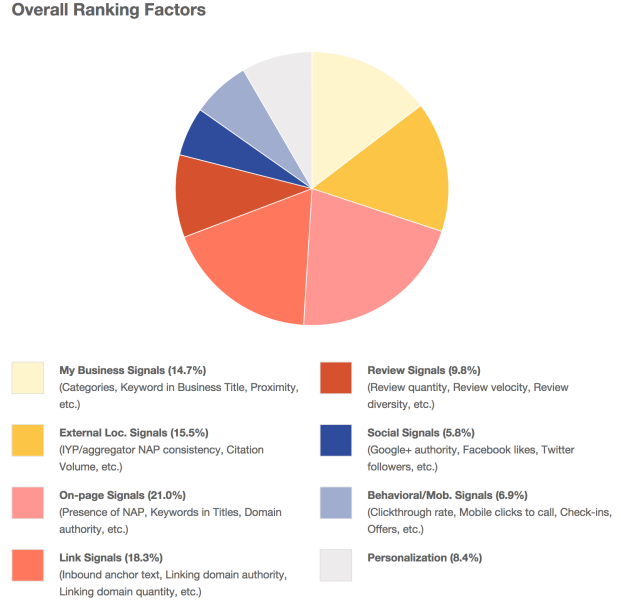 Behavioral signals such as click through rate, are more of a factor this year that others. With Pigeon‘s release, experts are saying Domain authority is more of a signal today. 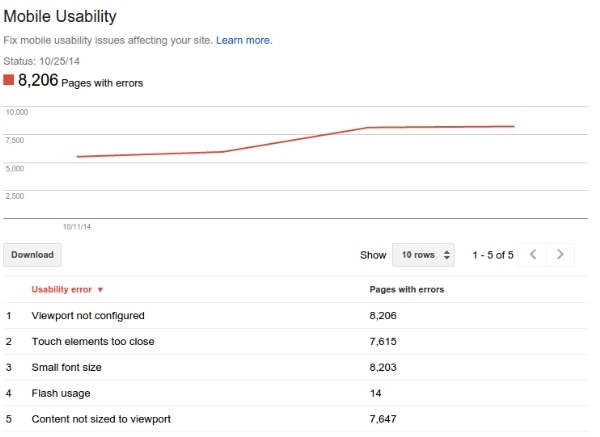 Google may have tuned up the proximity to searcher factor as well. You can see the charts from the study below, or you can get more details from the results over at Moz. To those who have never been here, Tulsa might not seem like the most technologically innovative city, but anyone who has lived in Tulsa knows otherwise. Tulsa’s companies leverage the internet to grow their businesses in inventive and practical ways every day, and the city is finally getting some recognition for their efforts. 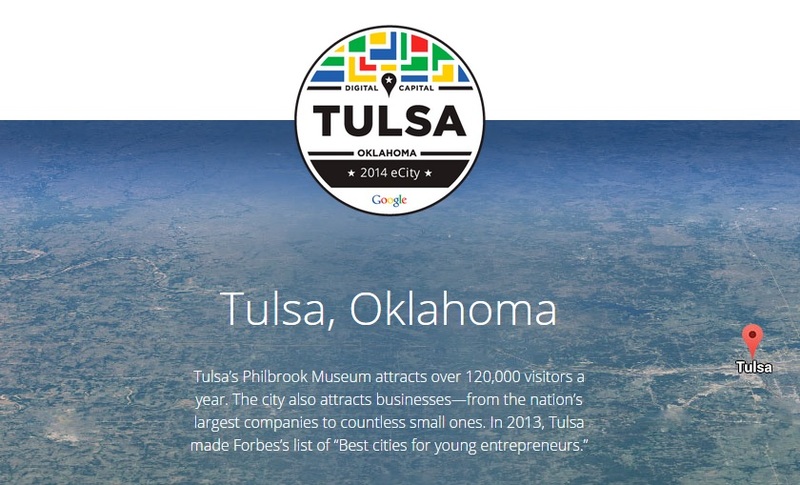 Google named Tulsa as Oklahoma’s eCity for 2014, recognizing the city for having the strongest online business community in the state and celebrates those who have embraced the internet and its multitude of ways to connect with new and existing customers alike. Not only have Tulsa’s startups and young entrepreneurs been using the internet to expand their businesses and reach out to where customers are, we are using the internet in new ways never previously imagined to connect with audiences in more meaningful ways than ever before.